In conjunction with our leading pneumatic and instrumentation manufacturers we can offer our customers a complete supply package. With experience in auditing, improving, designing and refurbishing systems, we can supply all the products and technical support customers need for their pneumatics and instrumentation requirements. As with hydraulics design our team of specialist sales and technical engineers can collaboratively work with customers from initial brief, to design, build and installation. Complete circuits can be supplied mounted on plates or fitted in cabinets, tested and certified for you to simply connect your machine or equipment. 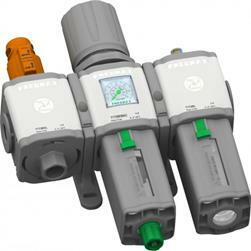 We can offer pneumatics and instrumentation from all the leading manufacturers including Norgen, Festo, SMC, Camozzi, Bosch Rexroth, Ham-let and Swagelok.